Diwali is one of those times when animals — both pets and strays — become highly agitated and panicky because of their inability to bear high-decibel sounds. In fact, it is during this festival of lights that several cases of missing pets, injured animals and dead birds are reported. 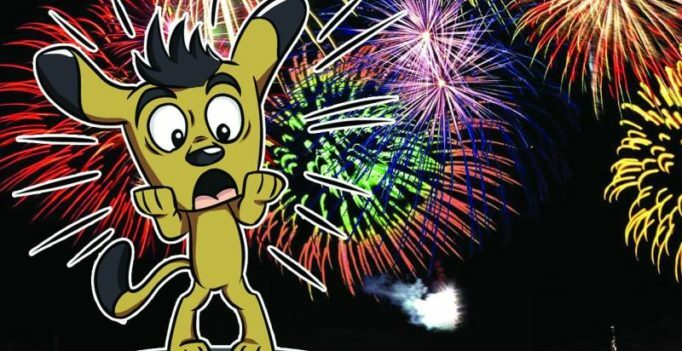 “The sensitivity of animals to the sound and smell produced by fireworks is extremely high. The sound we humans hear, is highly amplified for them and that’s why they are impacted a great deal,” explains Dr Praveen Kumar of Canfel Pet Clinic in Banjara Hills. Meanwhile, the plight of pigeons is another heart-breaking scenario. Mahesh, who has actively been observing and protecting pigeons from these festival-time injuries, shares, “Two things happen. One, the birds tend to panic because of the proximity to the sound and two, fireworks like rockets hurt them, leaving them injured. The mental trauma causes quicker deaths in birds. They fall from their platform and often you see dogs and cats waiting to catch hold of them. In the last seven years, with awareness and certain precautions, we have seen a reduction in the number of pigeons getting hurt.” In fact, he reveals that the scenario at the Kabootar Khana in Sultan Bazaar has drastically improved in the last few years. While Dr Praveen suggests preparing pets for the day. “It would be ideal to keep them in an enclosed room stocked with their favourite goodies. Also, turning up the volume of the TV or radio could help nullify outside sounds. But instead of pushing them into such an enclosure all of a sudden, it would be good to prepare them in advance. I suggest giving them early meals on these days,” he shares, adding that anxiety medication prescribed by a vet could also help pacify the animals.